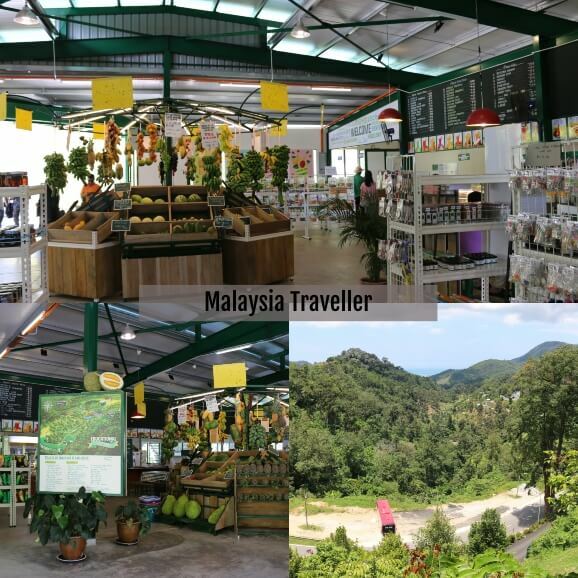 Penang Tropical Fruit Farm boasts 250 species of fruit on their scenic 25 acre hillside farm overlooking the west coast of Penang. Visitors can take a guided buggy tour, enjoy fruit drinks or a meal and purchase various fruit products. This tour will appeal especially to overseas visitors who are not so familiar with tropical fruits. The farm was established in 1993 to conserve Malaysia's native fruit species as well as to cultivate other exotic tropical fruit trees from other parts of the world. The farm tries to use organic growing methods wherever possible and only resorts to chemicals if natural fertilisers and pest control fails. You can read about the health benefits of some of these tropical fruits on my blog. See how fruit enzymes are produced and see the process for extracting virgin coconut oil. Includes enzyme and lemongrass tasting. Concessions for student groups are available. Lunch and Dinner packages are available.